Perhaps one of the most influential factors in our lives that drives us in our actions and decisions is our own self-esteem. At any age, it causes us to make both good decisions and poor decisions that pave the path of life which we all walk. One’s self-esteem can easily increase or decrease based on different life experiences. From many years of experience working at a sleepaway summer camp, I’ve observed many children living through this experience firsthand. In this entry, I focused on how a child’s self-esteem is affected when he or she is away from home and/or his or her parents for the first time. I summarized the results of a study in which I interviewed three young adults regarding their first experiences away from home and/or their parents. Two participants spoke of their first times going to preschool at age 4. The third participant, whom I will call Sandy, spoke about her first time away from home at Catalina Island Camps at age 8. Every child has his or her own unique experience of being away from his or her parents for the first time. 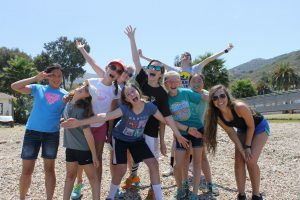 In any of those experiences, whether that first time away is at a sleepaway camp or elsewhere, there are a few common themes regarding self-esteem development. When children are supported in their quest for autonomy, encouraged in their desire for competence or mastery, and have strong, positive relationships, they not only thrive, they are more likely to be motivated from within (Ditter, 2014). In all three of my participant’s experiences, the moment they discovered their own ability to function without their parents, they became empowered and their self-esteem was boosted. The result of achieving something for themselves, rather than having an adult help them achieve something for them, fostered a greater sense of autonomy. From that, independence formed and they opened themselves up to mastery. Once their initial fears of separation were gone, they each focused on mastering skills. In Sandy’s experience, she gained the courage to try new activities at camp. This newfound competency and mastery supported her personal growth and self-esteem. Children are internally motivated when they do something that either has meaning for them or because of the pure satisfaction of it (Ditter, 2014). In Sandy’s case, both were true. In addition, all three participants thrived when they made connections with others. Originally their need for connection was met when they had their parents and siblings by their sides. Once they became separated, that need for connection had to be met in another way. Sandy responded by making many new friends and immediately found comfort with her friends’ support. As important as autonomy and mastery are, children do not thrive and develop self-esteem exclusively by themselves; they receive a lot of help from the adults in their lives. When children go away from home to school, daycare, camp or anywhere else, there are adults there to support them in their growth. Sandy looked up to her college-age counselors at CIC as role-models. 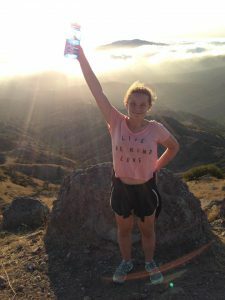 Like many campers who come to CIC, she developed positive relationships with her counselors similar to relationships a child has with his or her older siblings. 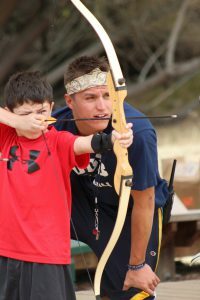 Sleepaway camp provides a unique opportunity for children to grow as individuals. They spend an entire week (or more) with almost no communication or connection to home or their parents. In an environment that keeps children active and engaged with other children like them, children are very good at naturally bonding with their cabin mates over shared experiences, and learning more about their own interests and strengths. In his book, Homesick and Happy, Michael Thompson Ph.D. details many of the opportunities for growth that occur when children are away from their parents; specifically, at sleepaway camp. Children have the chance to navigate themselves without basing their actions on the reactions of their parents. While parents always keep in mind what is best for their children, their presence alone (in many situations) can hinder their child’s potential for autonomous learning and development of self-confidence and self-esteem. When children accomplish something away from their parents, they can be absolutely sure that they own the accomplishment. Overall, I found that children’s self-esteem is positively affected by their first experience being away from their parents or home. Like any journey, there’s never a direct path up the mountain of personal development and there are obstacles along the way. Some children may experience feelings of fear and anxiety upon initial detachment, but they ultimately rebound and grow up to be confident and motivated individuals with the support of their peers and trusted adults. 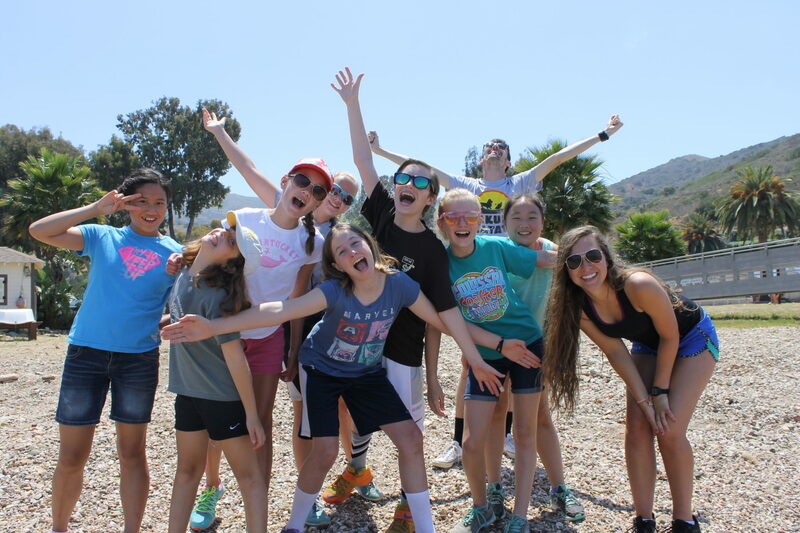 Sleepaway camp is a great opportunity for children, and parents, to take that first step. Children who go away to camp often report that only at camp can they “be themselves” (Thompson, 2012). Experience. Retrieved December 09, 2016, from http://www.acacamps.org/resource-library/articles/autonomy-mastery-connection-true-gifts-quality-camp-experience. Grow. New York, NY: Ballantine Books.